Doing your own research to find my ancestors? Can we help? Are you trying to ‘find my ancestors’ by doing your own research whether for your own pure curiosity or because you have a need to trace an ancestor or research your family tree, perhaps due to a death in the family, tracking down the right information is not always straightforward. Genealogy – or researching family history – has become increasingly popular and rewarding. Just as every family is different so the search for the ancestry is different too. As genealogy researchers we know where to look and can assist and support you with your research to achieve your goals to find my ancestors. We are able to offer support through one to one meetings, email, letter or telephone. 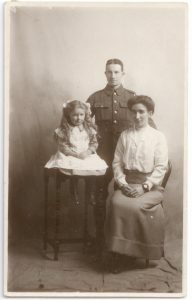 Merlin Genealogy Solutions has also produced some family history guides to assist in your research. These can be found on our buy online page. On our home page you will find some case studies to give you an idea of some of our client work.